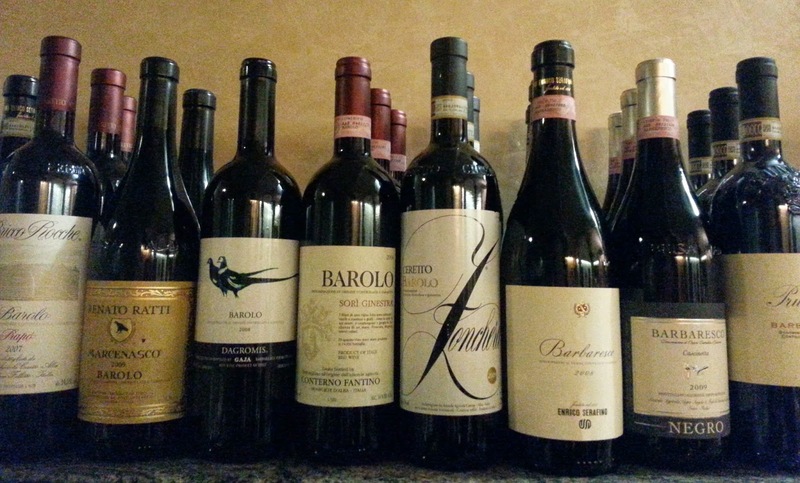 Barolo the wine of the kings & king of wines! 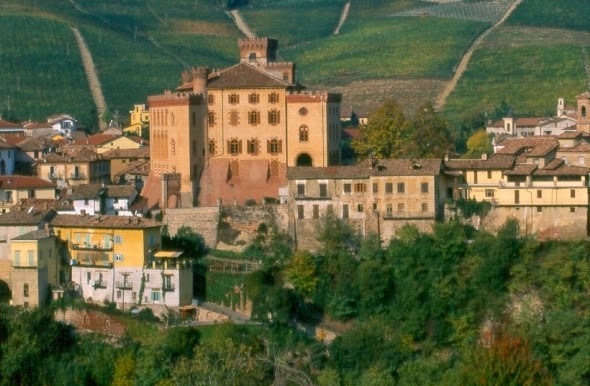 Barolo wine takes its name from Barolo, a little town in the Cuneo provice, where it is produced. Barolo, the town and its surrounding are a real treasure chest with a breath-taking landscape, many culinary events, the wine museum and the picturesque corkscrew museum. called it King of wines and wine of kings. 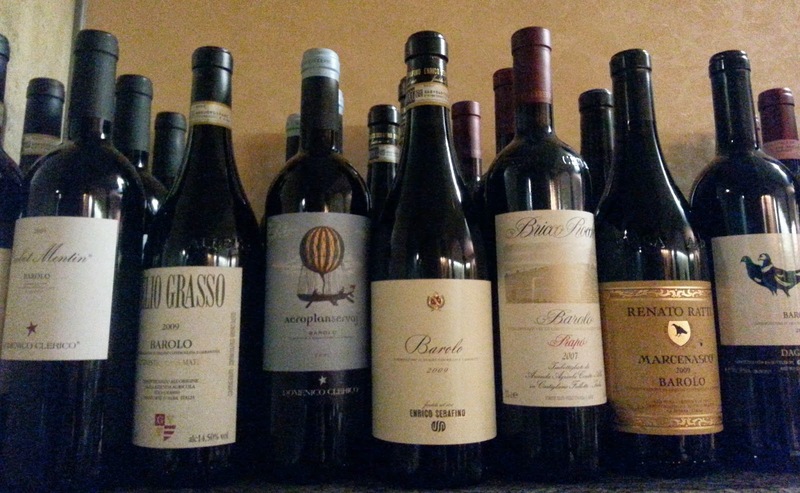 Following the Burgundy model, since the late 19th century, the vineyards producing higher quality and pricier Barolo have been separated and sell their bottles with the CRU label. Another variant you will appreciate is Barolo CHINATO, an after dinner digestive liqueur. It is made by steeping the cinchona tree bark from South America into Barolo and then adding other ingredients as: cinnamon, coriander, iris flowers, mint and vanilla. Each producer has its own personal recipe for this aromatic and smooth beverage. As Barolo is a big, powerful, tannic wine, it needs to be matched with foods of similar body like the Piedmontese traditional specialties: meat dishes, pastas with rich sauces and creamy risottos. 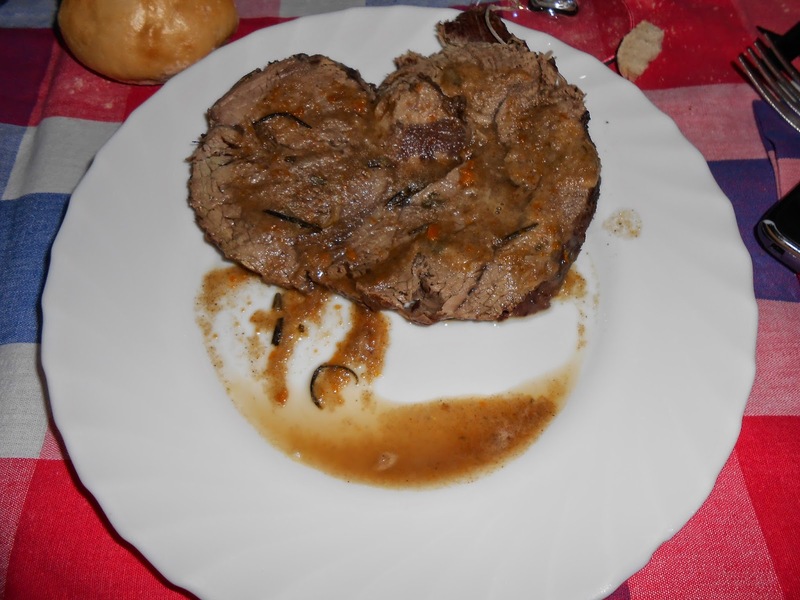 With such dishes, the tannins bind to the proteins and come across as softer. 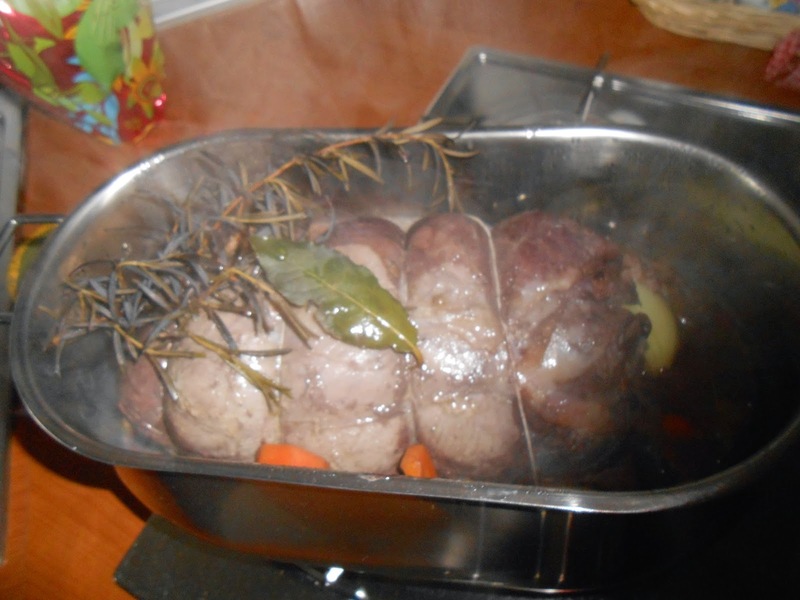 we got about 1lb or 1/2kg of rump roast and we marinated in red wine with a carrot, celery, onion, rosemary, a couple of bay leaves and sage for the whole night. 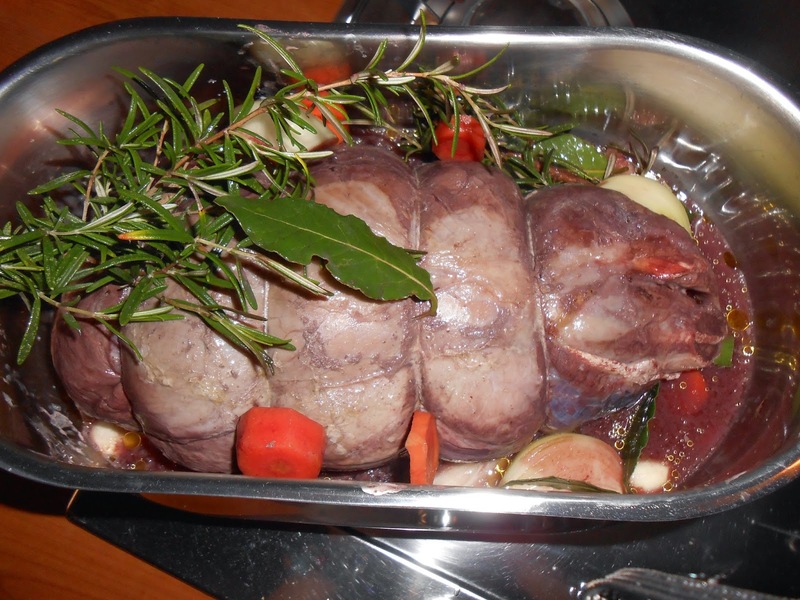 Then we dried it and placed it in the roasting pan where it cooked for a couple hours. Before cutting it, we hand-blended the vegetables of the marinade with red wine. 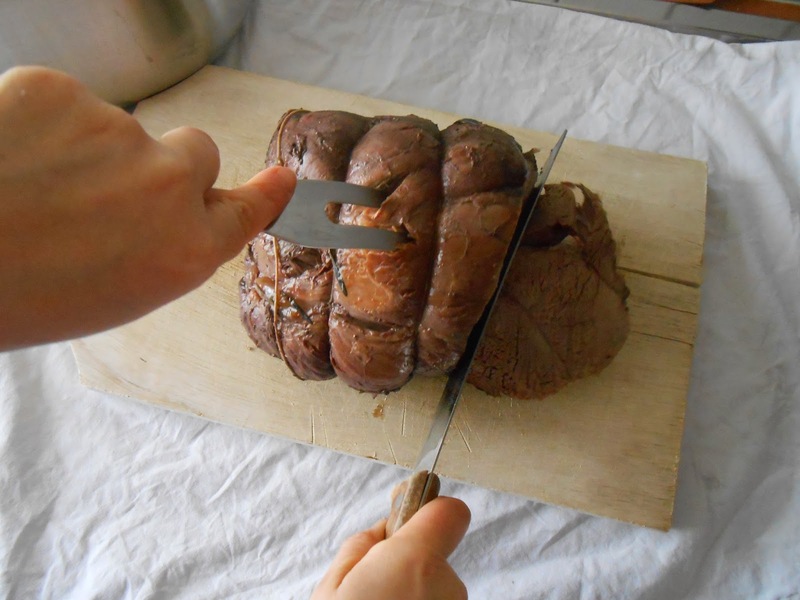 We decreased the sauce, cut our slices and savor it! !